Are you considering the idea of starting a car sales business in Oregon? Aspiring dealers in the state need to launch their operations by obtaining an Oregon dealer license. The licensing process is indispensable for ensuring your legal compliance with state rules. 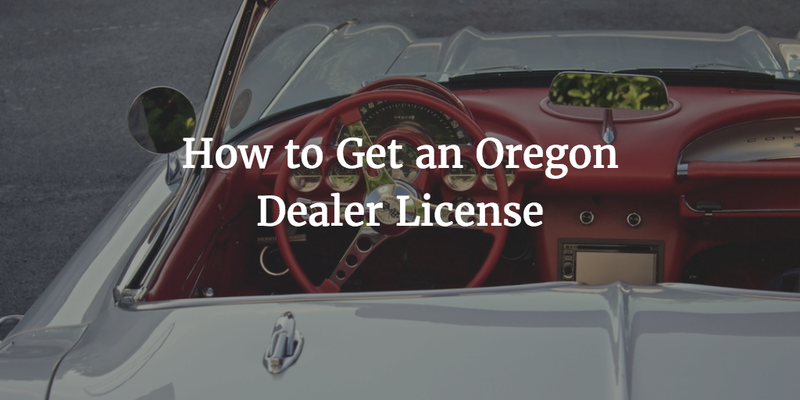 You need to meet a number of Oregon dealer license requirements. One of the most important ones is to post an Oregon auto dealer bond. To be well prepared for the procedure, it’s best to get acquainted with the criteria you need to satisfy in advance. Here are the steps you have to take to start your Oregon dealership. The Oregon Department of Motor Vehicles is the authority that regulates the auto dealership industry in the state. It offers two main dealer license options for applying dealers. If you’d like to sell all types of vehicles, you will need to obtain both licenses. Once you’ve identified the license type you need, you can get acquainted with what the requirements entail. They are set forth in the Oregon Revised Statutes, Chapter 822. You need to duly complete the application form for the license you’d like to obtain. The licensing fee for a period of three years is $1,187. You receive one free plate, so if you’d like to obtain more, you have to pay $54 for each. If you’d like to operate in more than one business location, the fee is $350 for each additional one. The surety bond is one of the indispensable requirements for obtaining your Oregon dealer license. If you want to get licensed as a seller or rebuilder of vehicles, you’d need to post a $40,000 bond. For motorcycle, moped, snowmobile and ATV vehicles sales, you’d need a $2,000 bond. The Oregon auto dealer bond functions like an extra layer of guarantee for the state and your clients. It ensures that you’d follow all applicable state rules. 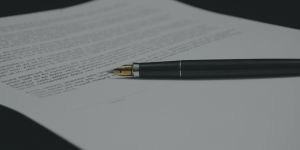 In case you transgress from them, an affected party can get a compensation via a bond claim. When you apply for a bond, you need to pay a few percents of the bond amount called the premium. If your finances are in good shape, you may have to cover only 1%-3%. This means that your surety bond price for a $40,000 bond may be as low as $400-$1,200. The factors that affect your bond cost are your credit score, as well as business finances. If you are ready to start your licensing and bonding, you can apply for a free Oregon auto dealer bond quote today. For any questions you might have, our bonding experts are here to help. Just reach out to us at 866.450.3412. Start your Oregon auto dealer bond application today! Why us?